PST Sport has a reputation for delivering world class facilities and forging strong relationships with our customers long after the works are complete. We rely heavily on our clients to promote our brand and referrals from existing clients to prospective clients has been the cornerstone of our success to date. Over the years we have gained a reputation for excellence, being trustworthy, reliable, highly skilled, respectful and passionate about what we do. 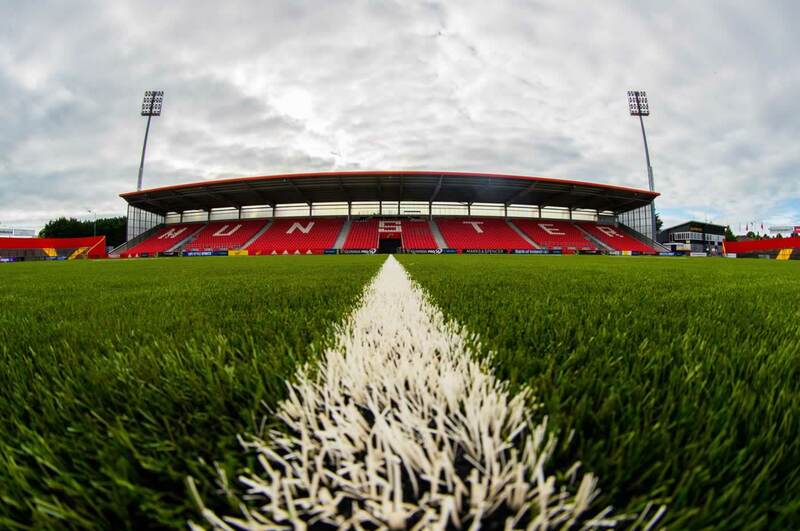 “After careful consideration, Munster Rugby decided in early 2018 to convert the natural grass pitch at Irish Independent Park to an artificial grass surface. This was a huge decision for the province and choosing the right company to carry out the project was critical. After a competitive tender process where World Rugby Approved consultants were engaged to assess product quality, PST Sport came out on top. Our experience with PST has been superb – they are definitely the best contractor we have dealt with in Irish Independent Park. Nothing has been an issue and they have hit every deadline and promise. PST Sport, along with their manufacturing partner CCGrass designed a bespoke artificial grass product specifically for Munster Rugby. The feedback from both professional and amateur players alike has been fantastic. 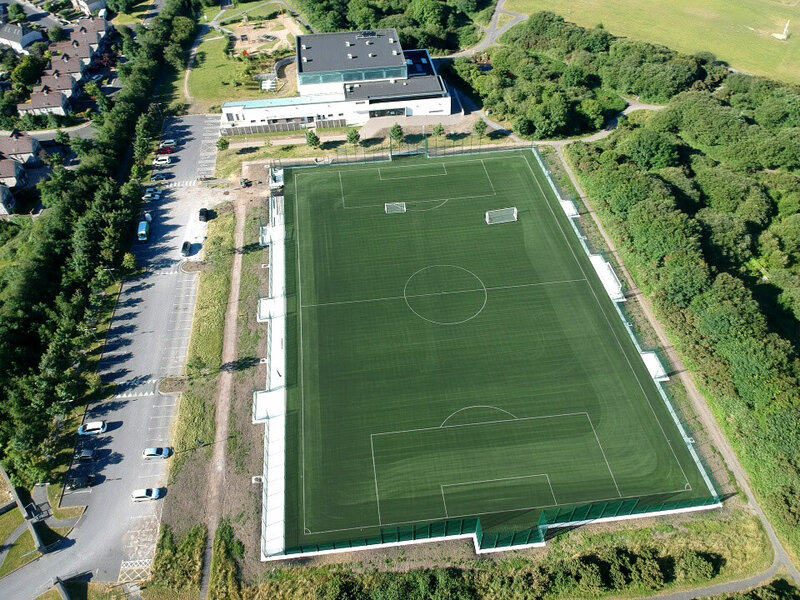 “Following a Public Procurement competition PST Sport Ltd., after a full evaluation and pre-qualification process were chosen as the successful bidder to undertake the construction of a new state-of-the-art FIFA full-size synthetic soccer pitch for Galway City Council at Cappagh Public Park Knocknacarra Galway. The project is one of a rolling programme of projects that are co-funded with the Department of Transport Tourism and Sport under the Sports Capital Programme. 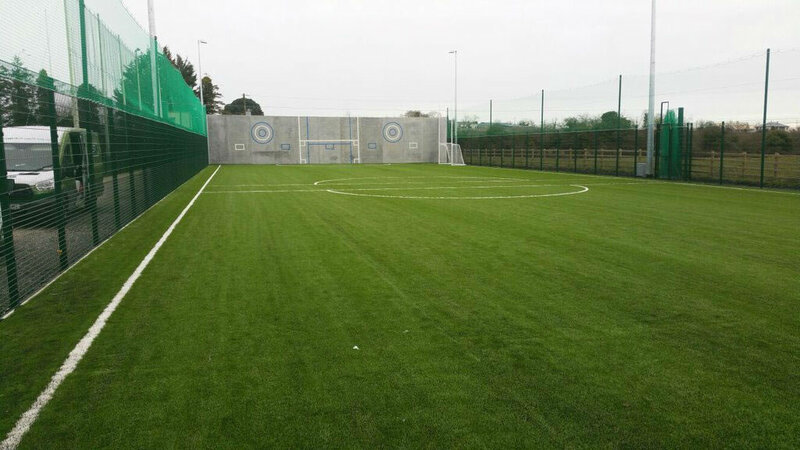 The new facility is designed to meet the needs of the rapidly expanding and changing Knocknacarra suburb and whilst principally designed to meet the criteria for soccer it will also provide training use for other sporting codes. 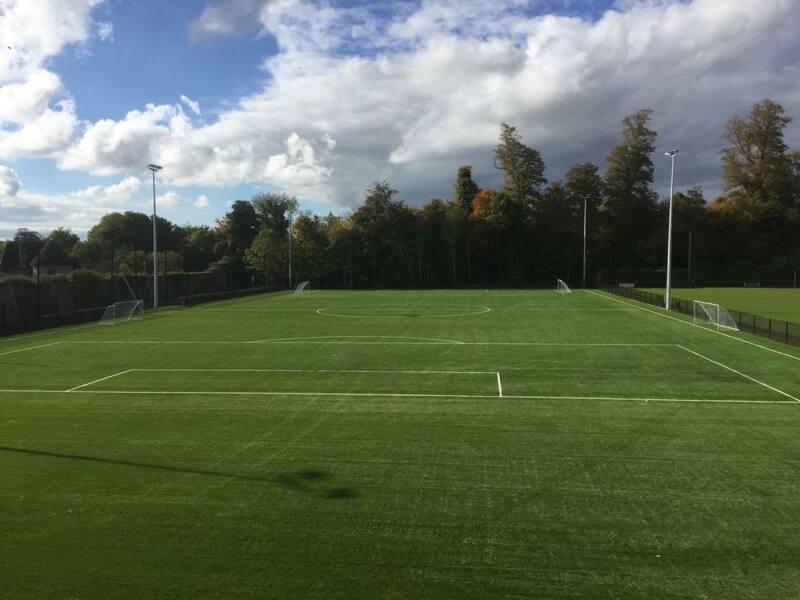 PST Sport Ltd., led by Colin and Ger in conjunction with our sports-field consultants Sport labs Ltd. UK successfully delivered the project on schedule and within budget. The facility has been constructed to a high standard and we have under the contract retained PST Sport Ltd., to provide maintenance services during the 1st year defects period. 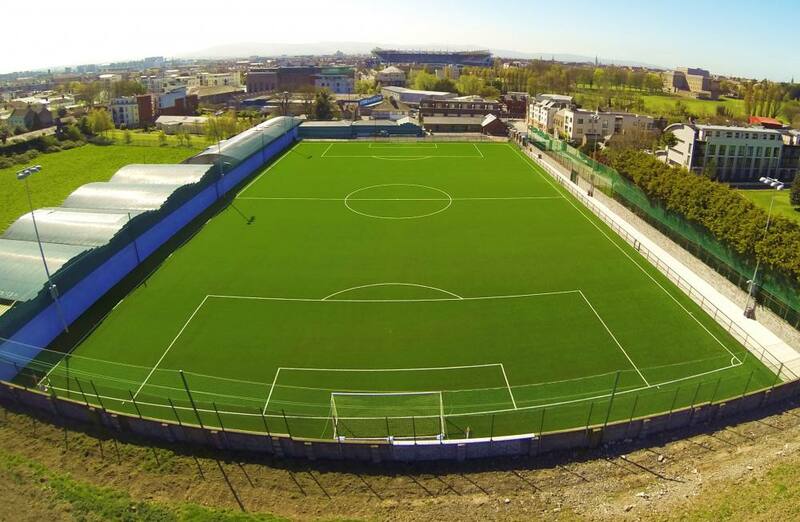 “The installation of a second full-sized all-weather pitch at Ballea Park was a major ambition for our Club given the ever-increasing demands for pitch space from a growing membership. It was imperative that we got the best possible product at the best possible price. After extensively reviewing their previous projects, we satisfied ourselves that PST Sport were best placed to meet our needs. At no point during the installation of the pitch did we have any reason to doubt our decision. The work was conducted in a very professional manner and all of the PST Sport team were easy and pleasant to deal with. “I was first introduced to PST Sport by the extremely helpful Derek Moore of Stella Maris Football Club. When I got the opportunity to fund an all-weather pitch in Whelan Park on behalf of Larkview FC I sought a number of quotations. I was amazed at how unresponsive and/or unprofessional most of the potential suppliers tenders were. There was only one company that tendered properly, could answer all questions, could meet a high specification and that ticked all the boxes, including cost efficiency – namely PST Sport. This was a difficult job as we wanted much more than a square pitch, we wanted to maximise the total Astro area, move lighting, install fencing around corners, different height ball stop netting, tarmac, satisfy neighbours and tidy up general services. PST looked after everything from design to completion, even when we spotted opportunities to enhance the design during installation, as will happen in a volunteer run club, PST always had a practical, cost efficient solution with no fuss, there was no attempt to overcharge for extras. 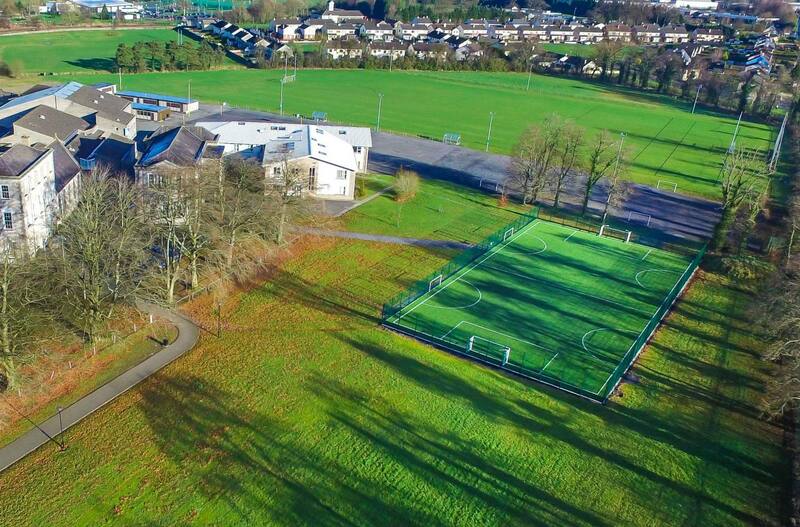 “Our project in Clongowes involved the removal of the existing all-weather pitch, and the installation of a 10mm high density shock pad and 3G carpet. Not only were PST Sport price competitive, they also offered a value-added service incorporating upgrades to our existing floodlighting system, and a higher than standard specification carpet. We are delighted with the outcome. Colin Teahon, Managing Director, was extremely responsive from the outset during tender discussions and this continued through to project handover and beyond. It was also apparent from initial discussions with Ger Teahon that he had a wealth of knowledge of the grounds of the College campus and surrounds which facilitated the sub-base and ground works to progress without delay. Work commenced in late November and, despite challenging weather conditions, was completed before Christmas with World Rugby certification following in early January. This was a great achievement by PST and a result of the hard work and dedication of the on-site team, led by Stephen King. “Glasgiven Contracts Limited secured through a competitive tender process the contract for Tyrrelstown Educational Campus in Tyrrelstown Dublin 15 in July 2015. 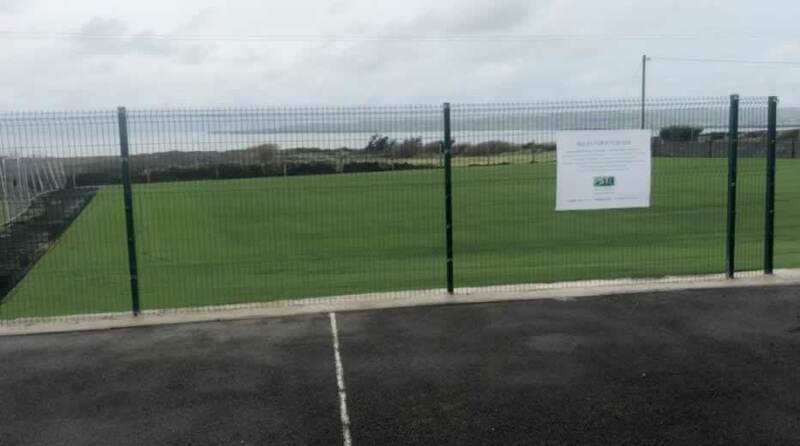 This 1000 pupil post primary school includes the development of a full size GAA 3G playing surface. 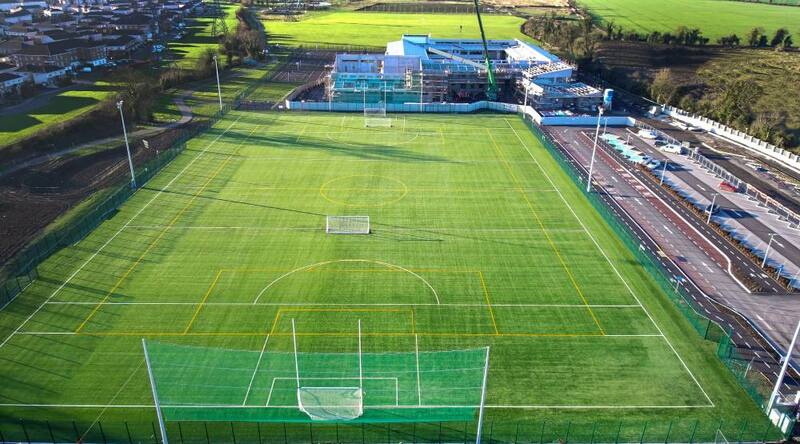 Following successful negotiations, PST Sport were awarded the 3G GAA pitch contract. From the outset, it was obvious that PST Sport held the in-house expertise and technical ability to successfully deliver this element of our project. The nature of the site presented some unique challenges. This included a “live” stream which traversed the pitch, overhead ESB lines that had to be diverted prior to construction and the rather poor existing ground conditions. PST Sport took a lead in the design development of the pitch and proactively engaged with all stakeholders and brought to the table cost effective and workable solutions without compromising on safety, quality or programme. Innovative measures developed by PST Sport included use of geotextiles and sub base drainage to ensure the final surface level of the pitch will be correct and maintained for the lifetime of the pitch. PST Sport completed this project safely on time, within budget and to the highest standards. 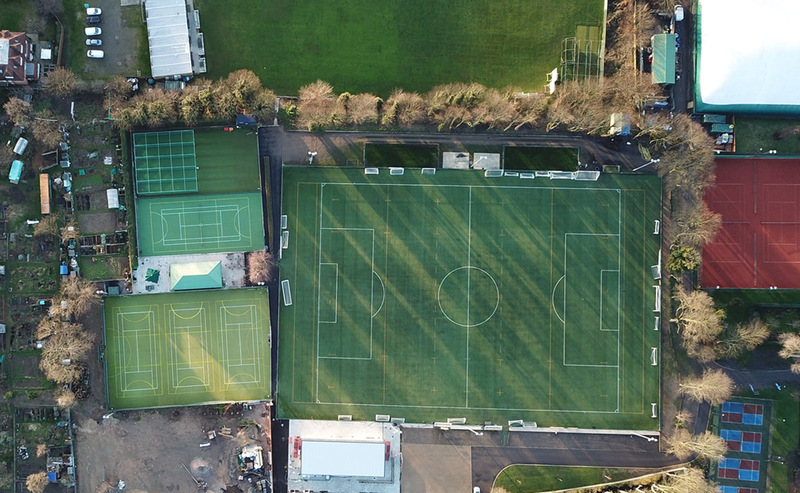 They worked with Glasgiven Contracts Limited to add value to the project by ensuring the 3G pitch is certified to meet leading governing body standards. The standard of finish achieved by PST Sport on the pitch is exemplary and is a credit to the management and operatives of PST Sport who we found to be courteous, knowledgeable and driven. “As the Managing Director and owner of the Park Club, I have been at the forefront of innovative sports facility development for 45 years. In this time, the Hogarth Group opened the first 6 court squash club, with three courts on top of three, in Lambton Place. Following this, we opened the Hogarth Club in 1980, which was the first American style gym in the UK and kicked off the Health Club revolution we see today. The Park Club followed in 2000 and saw an outdoor pool, now de rigeur in all top –end family clubs. “On behalf of Cherry Orchard Football Club, I have no hesitation in providing a business reference for PST Sport. Following an extremely competitive tender process, PST Sport were the successful bidder in providing our Club with a full size all weather football pitch. As a satisfied customer Cherry Orchard Football Club can testify to PST Sports ability to provide a full turnkey solution from start to finish. Including all aspects of the project from the above and below ground works, fencing and ball stop netting, flood lights and a superior quality all weather playing surface. From the first time we met Paul, Colin, Ger and the lads from PST Sport we were impressed with their efficient and professional manner – an approach that not only inspired confidence, but generated the results we were looking for. By partnering with PST Sports the Cherry Orchard Football Club have been able to achieve our aim with the minimum of fuss. This is exemplified by the company’s willingness to work with us and to find solutions to any problems that arose during the process. PST Sports ability to provide the facility we now have available to us together with their helpful and knowledgeable staff, confirms to us that we found the right people. 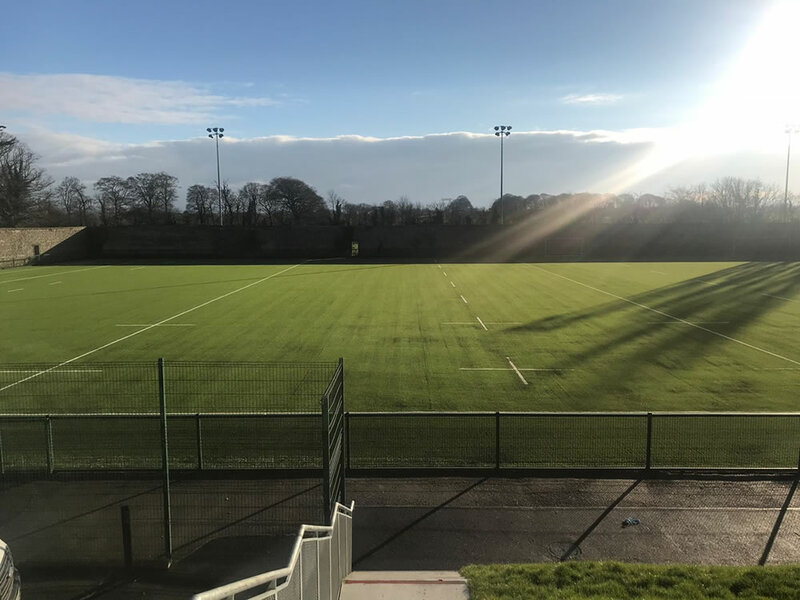 “When Mullingar RFC decided to build 1 full size pitch and 1 training size artificial grass pitch to accompany our natural grass fields it was decided to build to a specification that meets the three primary sporting codes. After a competitive tender process among eight companies a detailed post tender analysis was conducted. The tender was scored with a strong focus on product quality and technical ability. PST Sport emerged as the successful contractor and we are delighted that decision was reached. PST Sport delivered a first class installation on time and within budget and demonstrated excellent technical ability. Feedback from players and coaches has been impressive. The Irish Rugby Team trained on the pitch for the week prior to the Ireland v England Six Nations match in 2016. Several players commented it was the best artificial grass surface they have played on and Joe Schmidt compared the pitch to the Twickenham surface. 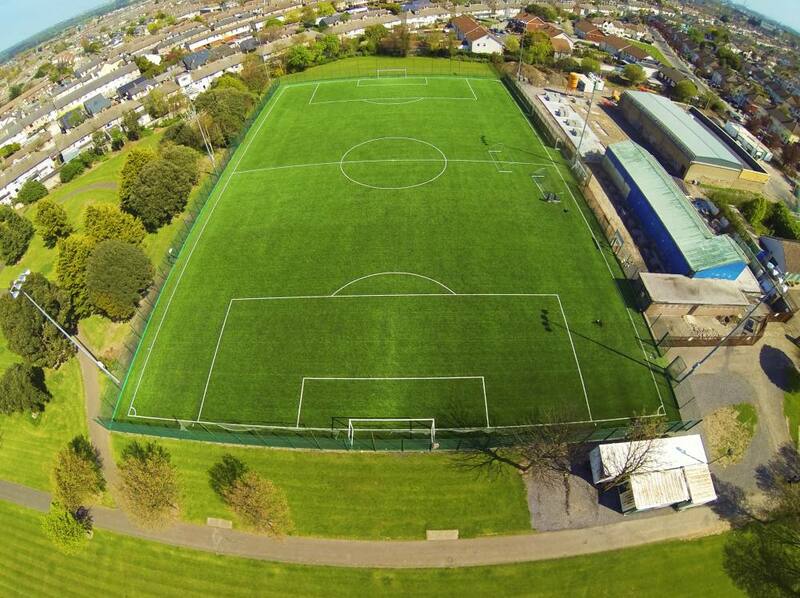 “Our project entailed the removal of existing astro turf pitch/enclosures (60 x 30 metres) in use for over 17 years, provision of new enlarged pitch (75 x 32 metres) including new lighting, fencing etc. Not your straight forward green field site. Initially we invited contactors out to the club for a walk through/site appraisal, one of the few that were willing to do so was PST Sport, we were immediately impressed by the professionalism and personable, yet practical approach of both Ger & Colin Teahon. We were pleased when PST Sport emerged as the preferred bidder and our experience of everyone involved with the firm, from the tradesmen on site through to the support staff at base further reinforced our initial positive impression. As there is with any large-scale project we had a few snags along the way and some unforeseen problems, however we were always informed of same and a solution was arrived at amicably and without fuss allowing the project to progress without delay. Always available to advise on any aspect of the project right from the initial meeting to handover of our new facility we had the ideal partner for this development. 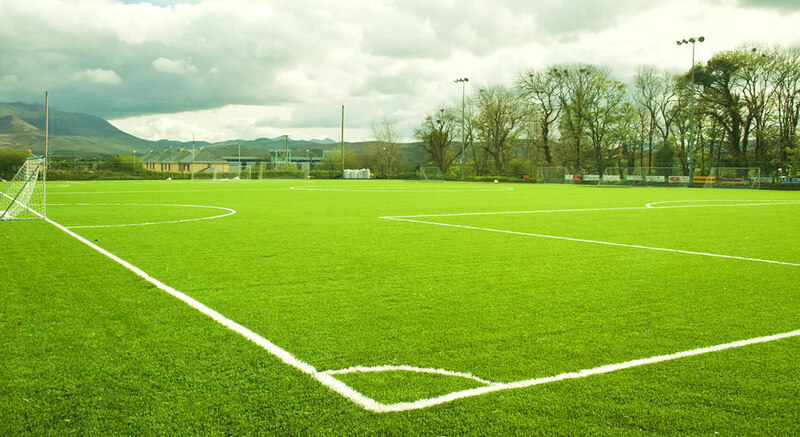 We installed a higher specification of turf than standard and the playing surface is exemplary as has been testified by everyone who has used the facility. The club may have had the ambition/vision for the project, but PST Sport were the perfect partner to allow this vision to become a reality and provide a Top Class Facility to serve our local Community for many years to come. 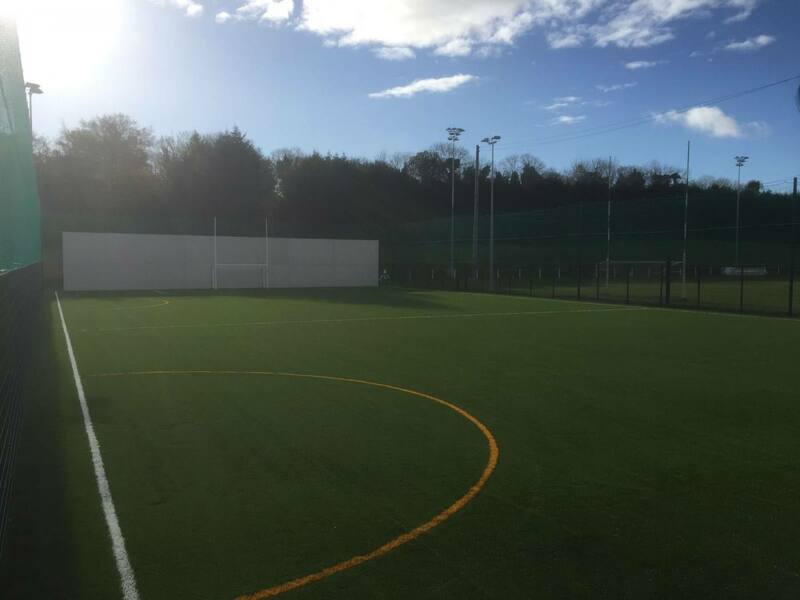 “We recently developed a full sized all weather soccer pitch at our grounds in Cahir. From the initial tendering process (we received submissions from eight different companies) it became abundantly clear that PST Sports were the most professional of all of entities vying for the project and the most passionate about our project. As a club we went to extraordinary lengths to understand the technical aspects of all-weather surfaces, rubber infill and lighting. PST offered us the most transparent and independent verification of their products. In addition we took up a number of references on PST’s previous projects, some reference points were provided by PST but others we took up ourselves including one from Chelsea FC in Cobham Surrey. Without exception each reference was exemplary. We chose a surface that was demonstrably of a much higher specification than the competition and in addition offered exceptional value. “We at Stella Maris Football Club have no hesitation in providing a business reference for PST Sport. 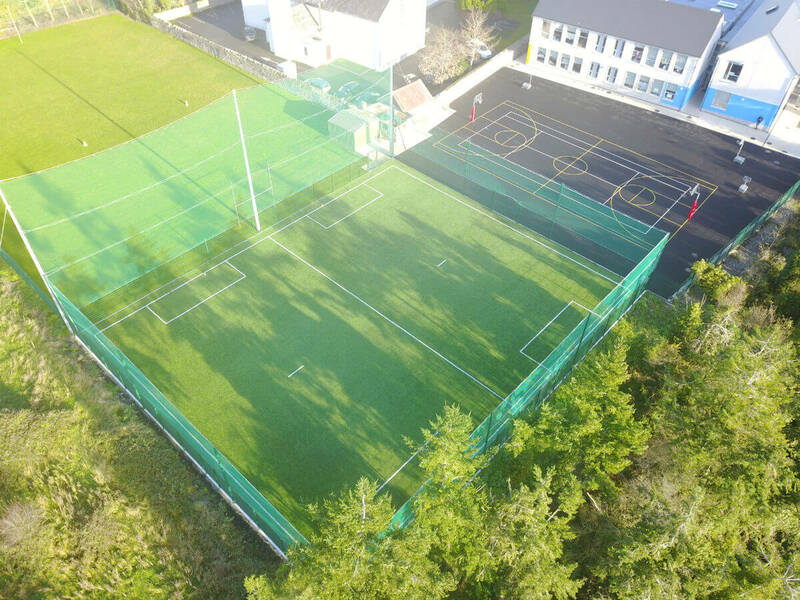 Following a stringent pre qualification process followed by a Tender Evaluation Phase, which was fully endorsed by our National Governing Body, the Football Association of Ireland, PST Sport have been a successful tendering contractor on multiple projects over the last number of years for Stella Maris Football Club. 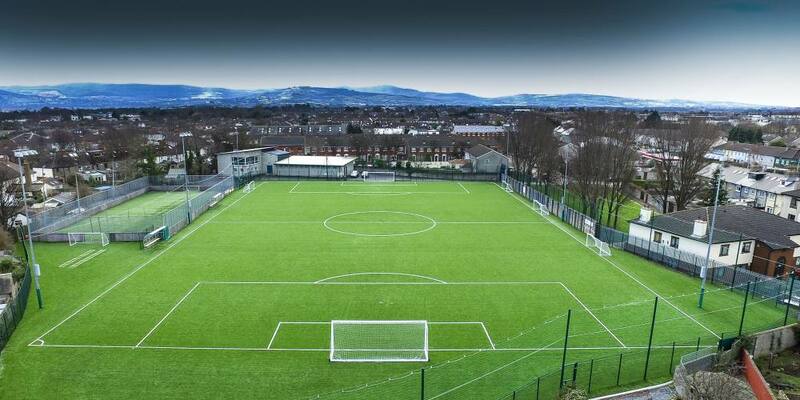 Stella Maris Football Club embarked on a full re development of our facilities at Richmond Road in Dublin. To undertake such a project required a contractor to participate with the ethos of a partner in the project. We are delighted to confirm that PST Sport have shown un-rivaled commitment to the delivery of the project as they expanded beyond the project requirements to deliver a best in class facility for our young club members. PST Sport are a lateral thinking company that found solutions in a cost effective manner whilst never jeopardizing the standards of the project. PST Sport excelled in pricing, project management, product quality, and delivery of the solution within budget and timeframe. 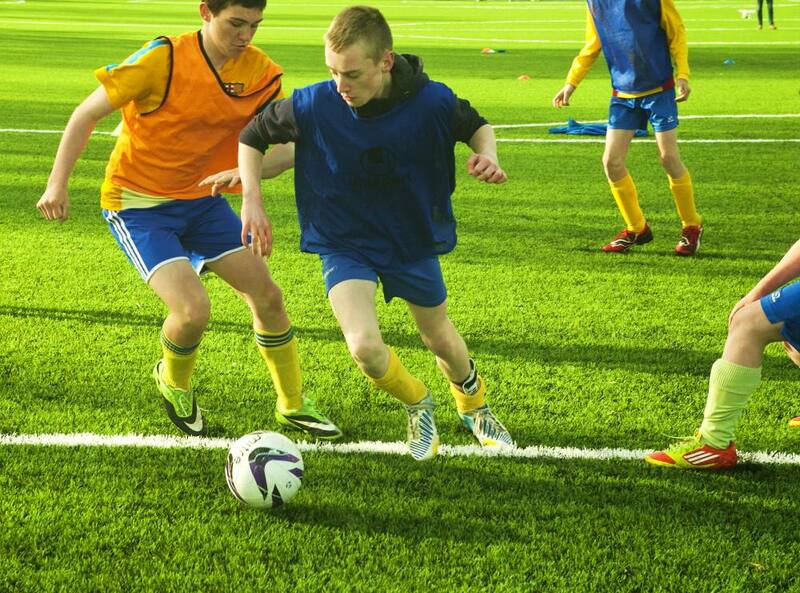 “The installation of our astro turf pitch coincided with a major building project at the school. Therefore, co-operation between the builder and PST Sport was very important. The time frame was dictated very much by the progress of the building works and PST Sport were very flexible to fit in with that time frame, and even though the building works delayed them they still managed to get everything done for September 1st. 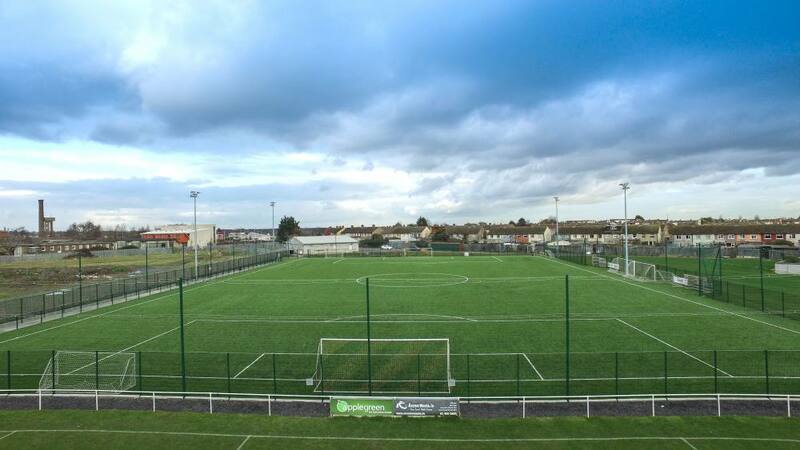 “PST sport completed a 60/40 metre astro turf for us in 2015. This was a sports council funded project, so PST sport had to compete with 2 other companies for the job. They did the work from the underground drainage, right through every stage to the wiring of the lights. All the work was done to a very high spec. and we have no problem with any aspect of the work sense. The project was completed on time and ready for immediate use. “PST carried out the installation of surfacing to 2 No. 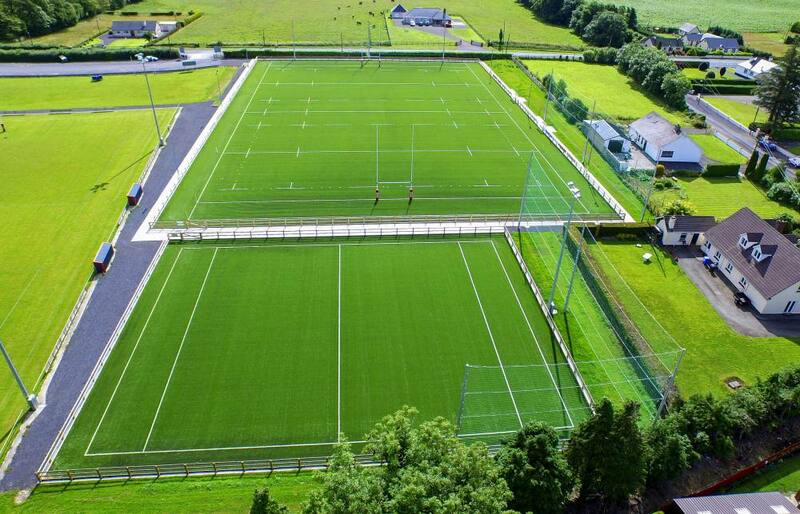 artificial Grass Pitches for Skryne Gaelic Football Club in February/March 2016. The pitches each measure 40 m x 25 m and can be used together to give a length of 80 m x 25 m. The pitches have been subject to a high level of usage over the past 10 months and all who use it are very complimentary of the surface and general layout. During the construction of the foundations and drainage etc by a local contractor PST Management personnel made themselves available for consultation with the Groundworks contractor and their advice was invaluable in obtaining a successful outcome for the scheme. Also PST gave expert advice on the selection of the surfacing and location of pitch markings so as to optimise pitch usage. In general , based on my 30 years experience in civil engineering and road construction with the National Roads Authority I consider that PST have a high level of technical competence and experience in all areas relevant to artificial grass pitch construction. 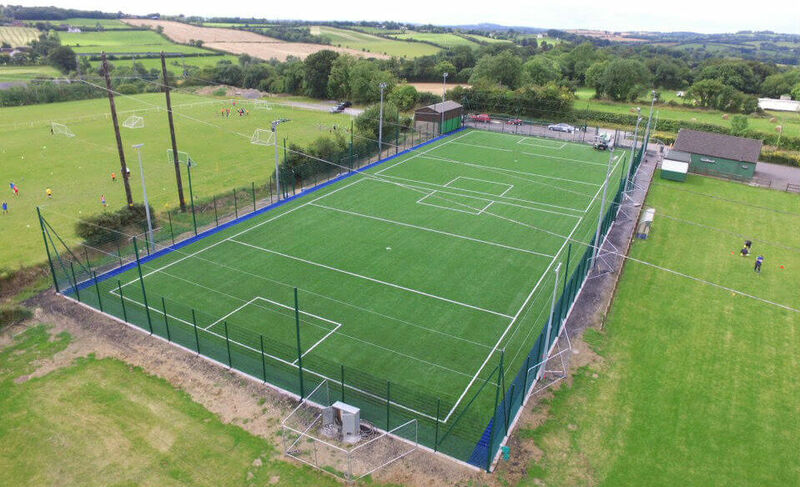 “PST Sport recently completed the installation of a new Astro Turf Complex for the Doheny Gaa Club at the Sam Maguire Park Dunmanway. This contract was carried out in a very professional manner and completed on time to a very high standard. “We had our all weather training facility resurfaced in August of 2013. It measures 1640 square metres. The previous surface was 13 years old and was in poor condition. It was very hard and starting to tear in places. I was heavily involved from the start of the project, applying for the grant for the re-surfacing, to the installation of the new surface. After getting 3 quotes and in consultation with our engineer we opted for PST Sport to resurface the facility. This was a decision that I am delighted was made. Dealing with Mr. Colin Teahon was of PST Sport was very easy. He was very professional and always available to take a call for either advice or to answer a query or worry we had.